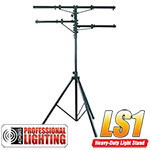 The lighted Speaker Stand by Adkins Professional is a must have! 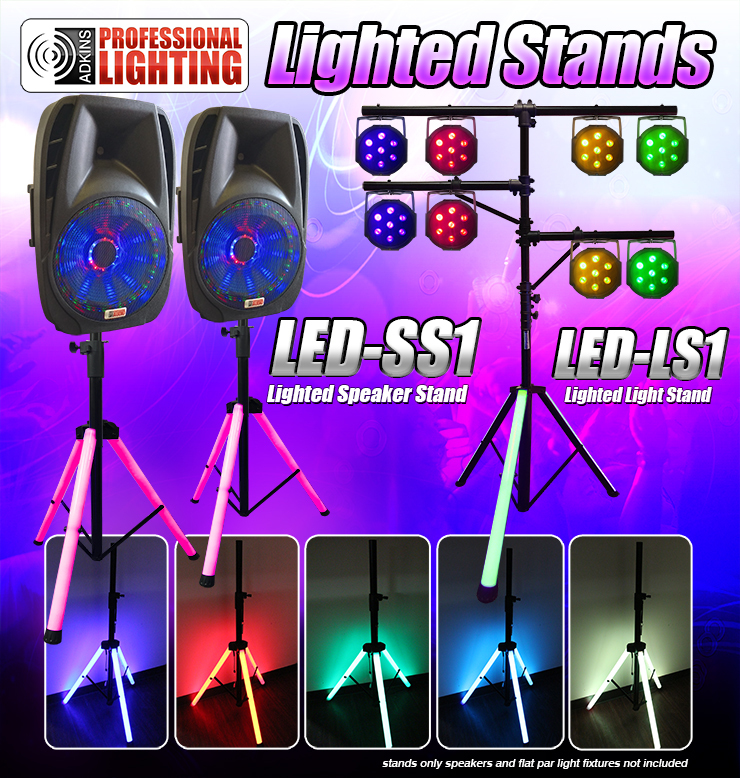 This lighted tripod speaker stand features ultra bright RGB color mixing LED tubes that can be set to any color you choose or you can use the included RF remote control to select any of the 22 auto-programs, 20 preset static colors, color fades, brightness and speed control. 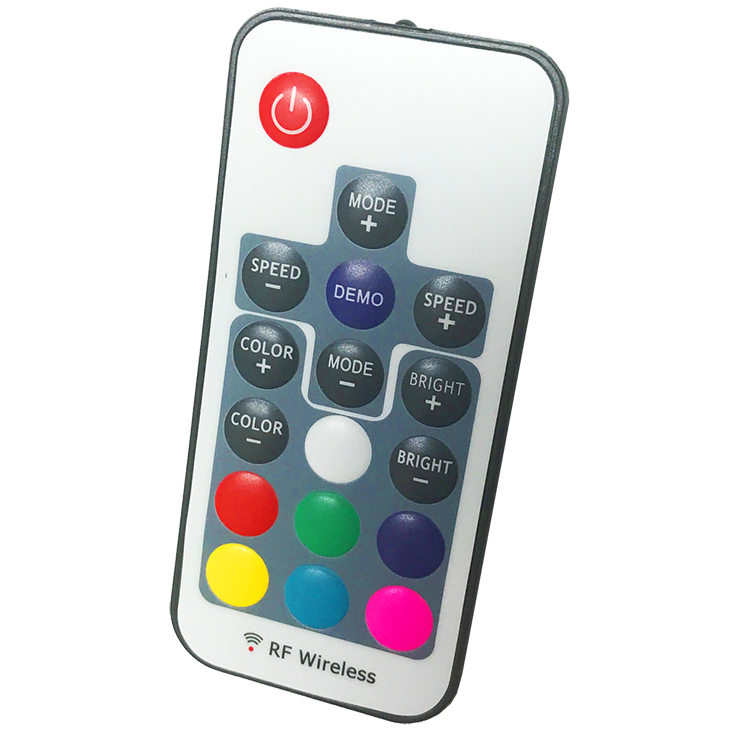 The tubes contain over 200 super bright tri-color RGB LEDs. 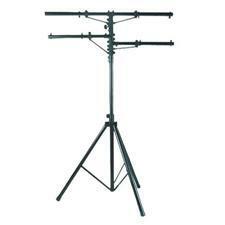 This awesome speaker stand raises up to 70" and can support up to 100lbs.